Thank you for organizing this event @Digital. @Evandro Pereira, belo tombo registrado. @ FBTC DAF - Raaphael Vc tava gravando? Tive mais alguns tombos alem desse kkkkkkkk não ser aconstumado a correr é foda, mas pelo menos achei todos e o destaque está no meu perfil kkk. O vídeo ficou massa !!! gostei do seu vídeo da caça de ovos! Congratulations to the winners. Although I'm not on the list, what matters is the fun to hunt eggs. Hi, @JeffSFC. Happy Birthday ! Are people not as interested in the one truck family jobs than before? I find it very tiring to drive at 90 km per hour, facing congestions that require a lot of time and patience. Therefore, I did not continue the work after finishing the 15 deliveries of the event. You should also consider that not all players have "Map DLC". I believe most are doing on the original map. Will this year we hunt Easter eggs again? Last year was fun the event. 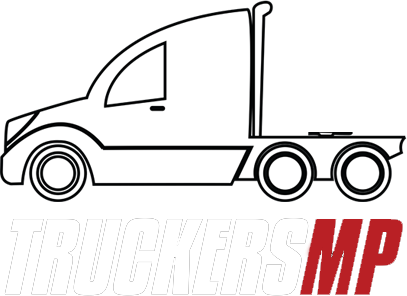 What do you truckers think of this idea of having the opportunity to participate again in this great event? My first delivery of the world of trucks event. Compilation of the other trips of the event. Does anyone know if the result of the "Spring giveaway "was announced?